From purple potatoes and carrots, to red cabbage and blueberries, these foods boast plenty of nutritional credentials to back up their colourful hues. They are not only a great way to add colour to a dish, they also make you feel good about eating them. While Prince sang about ‘Purple Rain’, dietitians and nutritionists are now singing the praises of potent purple superfoods, rich in anthocyanins – natural plant pigments which provide foods with their unique colour – thought to benefit brain health, lower inflammation, fight cancer and heart disease. 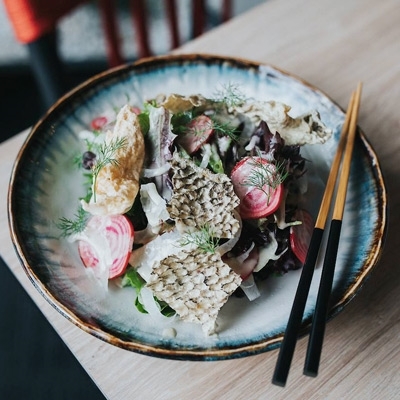 High up on the list is purple cauliflower for its powerful cancer-fighting properties and excellent source of vitamin C, fibre, potassium and B vitamins. Purple asparagus is similar in taste to the white and green varieties, but has much higher vitamin and antioxidant scores, making it another colourful vegetable recommended to grace your plate. 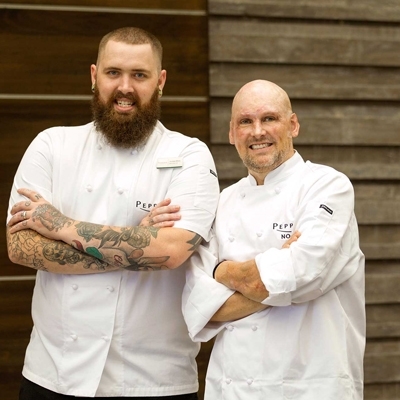 Other punch packers include: purple potatoes, eggplant, plums, beetroot, figs, blueberries, blackberries, grapes, passionfruit and purple corn. 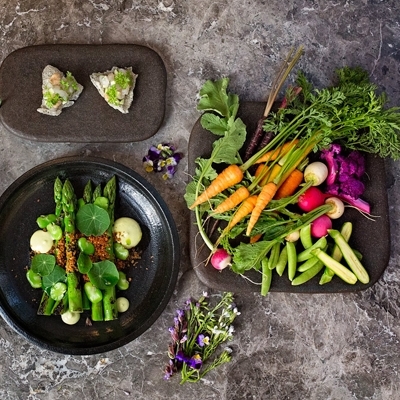 We’ve put together a kaleidoscope of pretty purple images and serving ideas to make your next meal a rainbow of colour, taste and texture. Let’s get our purple on and make Summer colourful, as well as healthy and happy! 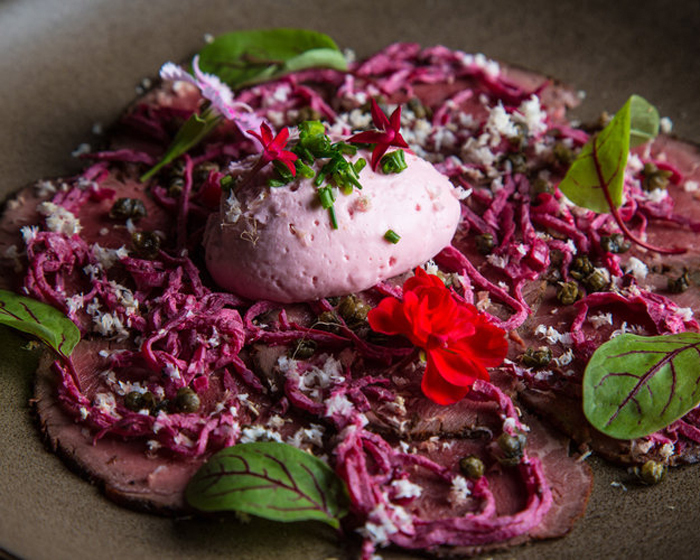 From Bella Venezia restaurant in Mooloolaba comes this spectacular dish, celebrating all shades of purple – melt in the mouth premium eye fillet beef with beetroot remoulade, crispy capers, chives and goats cheese mousse. Simply delicioso! Yes… this tastes as good as it looks! 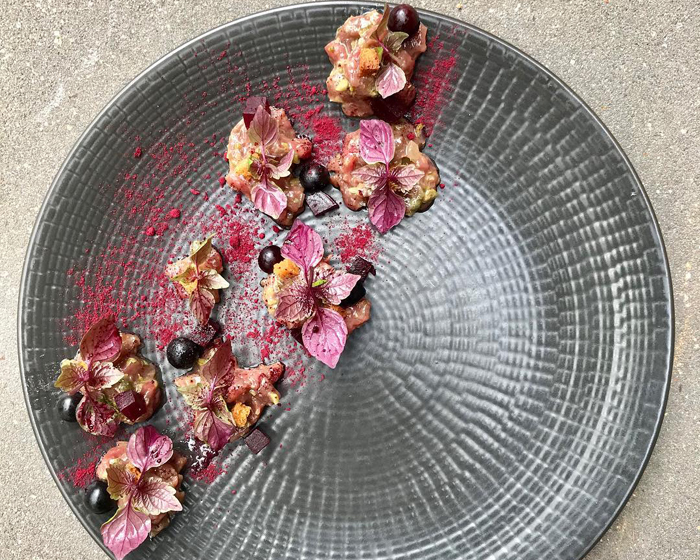 Birch restaurant in Moss Vale is behind this colourful creation of venison tartare, beetroot, sherry vinaigrette, blueberries and shiso – ideally paired with a 2016 First Creek Barbera wine from Orange. 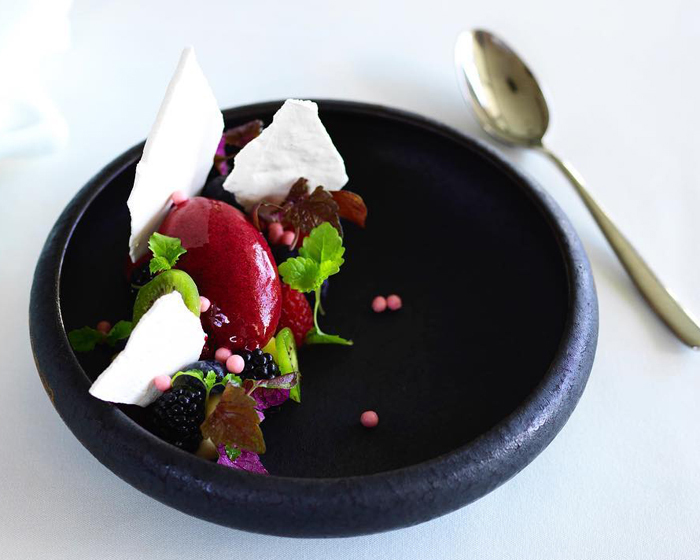 When only the best will do, Woolwich diners head to Cucinetta where decadent desserts such as this white chocolate mousse, berry puree, strawberries, raspberries, blueberries, berry sorbet, frozen meringue, berry ice and pistachio, await those looking for purple on a plate. How scrumptious does this stack of blueberry pancakes look? 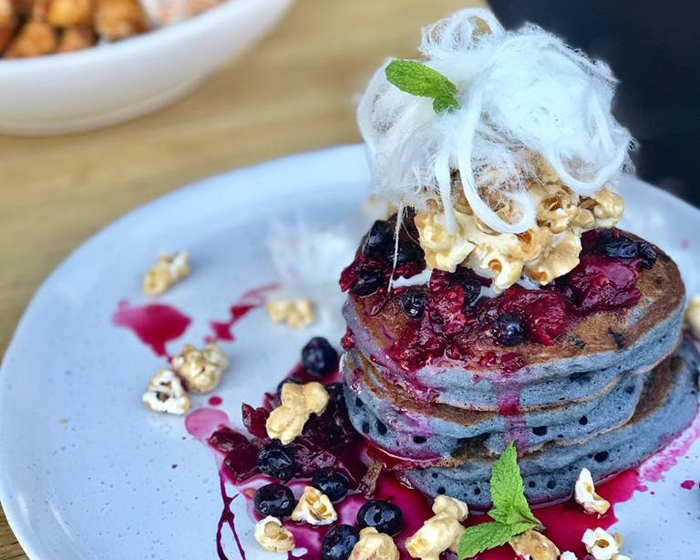 Onethirtytwo restaurant in Windsor takes purple to a whole new level with buttermilk pancakes, berry compote, salted caramel popcorn and Persian floss – such indulgence for breakfast! 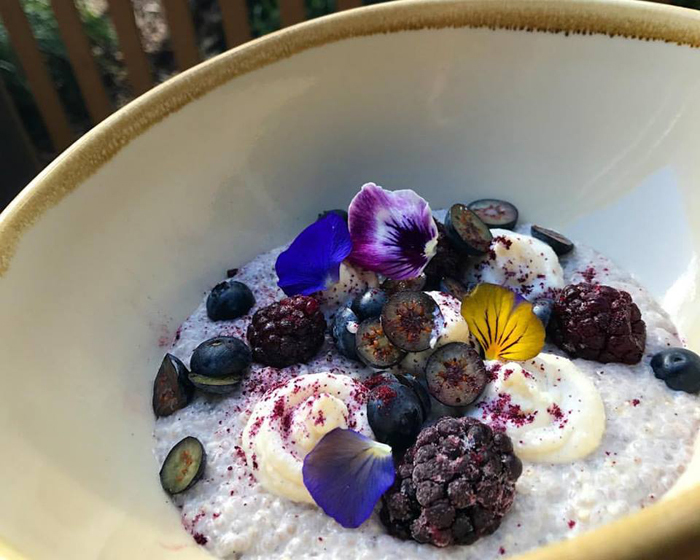 Fantastic for a healthy Summer breakfast, this bowl of chia and coconut breakfast oats from Pambula’s Pantry harnesses the goodness of chia seeds and their excellent source of Omega-3 fatty acids and rich antioxidants, along with the purple power of blackberries and grapes. 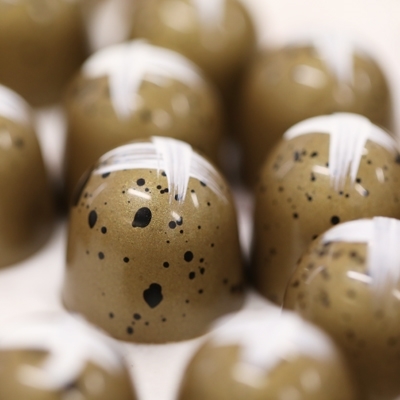 The creamy texture combines well with the tang of the fruit, while the pansy flower decorations are also edible. 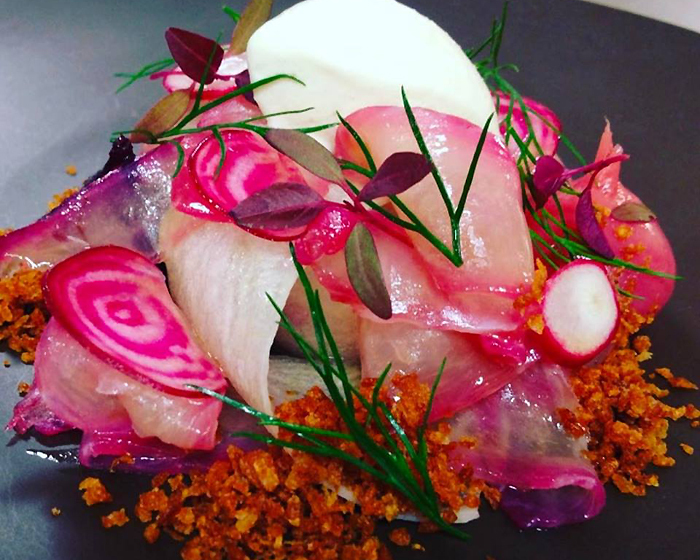 There’s not much else other than purple on this dish from Steer Dining Room in South Yarra. Heirloom beetroot has an earthy, sweet taste and rich colour that makes it delicious pickled, roasted, steamed or baked. The chicory flavour of the radicchio is an ideal match to the creamy buttermilk, while pepitas add a nutritious and healthy crunch. 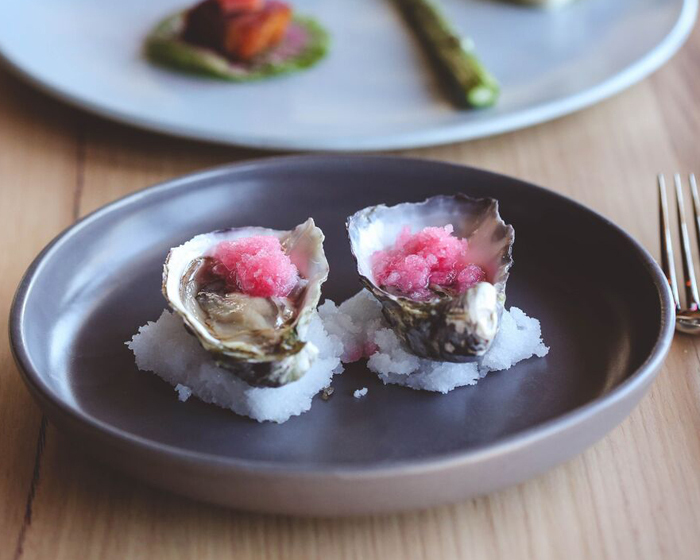 While purple is generally considered a royal colour, oysters have their own perception as an instrument of seduction, or an aphrodisiac. 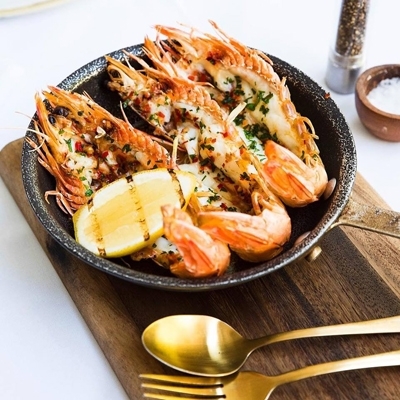 Combine the two and you have this offering from Montalto restaurant, nestled in the Montalto vineyard in Red Hill South, sure to set hearts aflutter as an entrée to a memorable meal with that someone special. 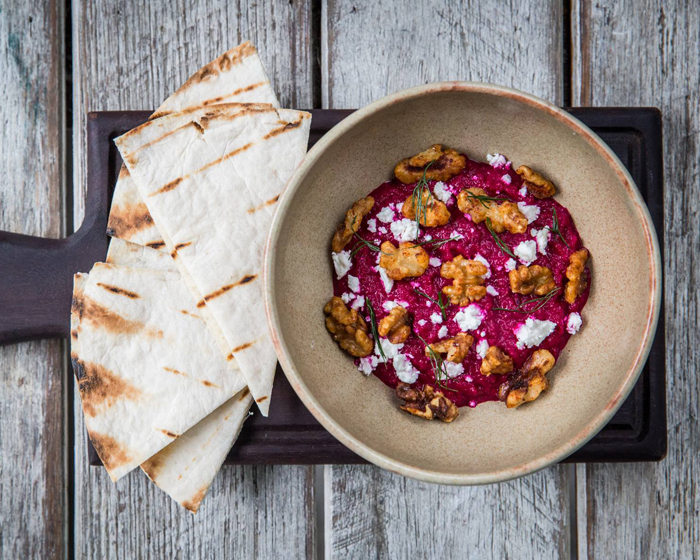 Borani is an Iranian dip usually served with flatbread and this version from Despana in Glebe, is topped with goat’s curd, dill and spiced walnuts for added texture. Vibrantly colourful and healthily nutritious, it is an ideal appetiser or tapas dish to whet appetites for more purple on the plate later in the evening. 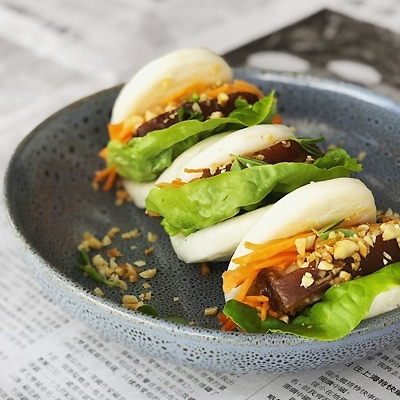 It’s all about nurturing the mind, body and soul at Modern Organic Yoga Café in Long Jetty. 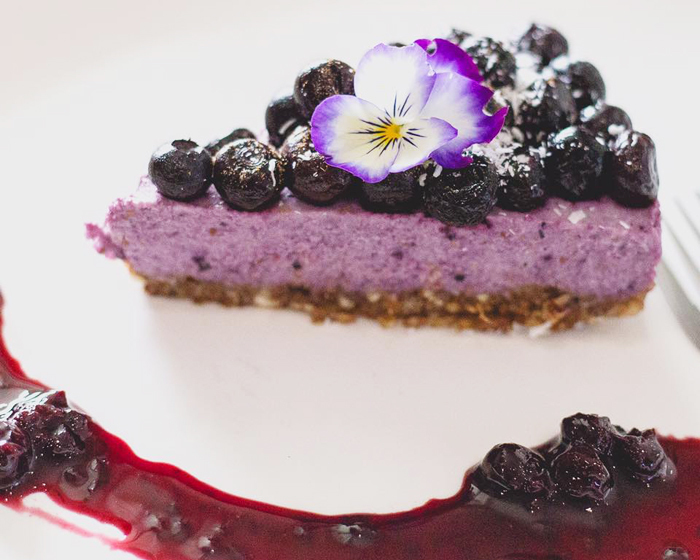 Housed in a yoga studio, a calming vibe filters through to an alfresco area in a Zen garden – an ideal spot to sip a matcha latte and chill out with a slice of organic raw, vegan and gluten free blueberry and citrus cheesecake. 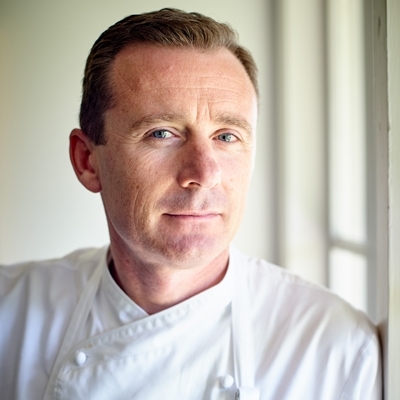 Les Bistronomes in Braddon delivers a culinary journey with a distinctly French theme for Canberra diners. 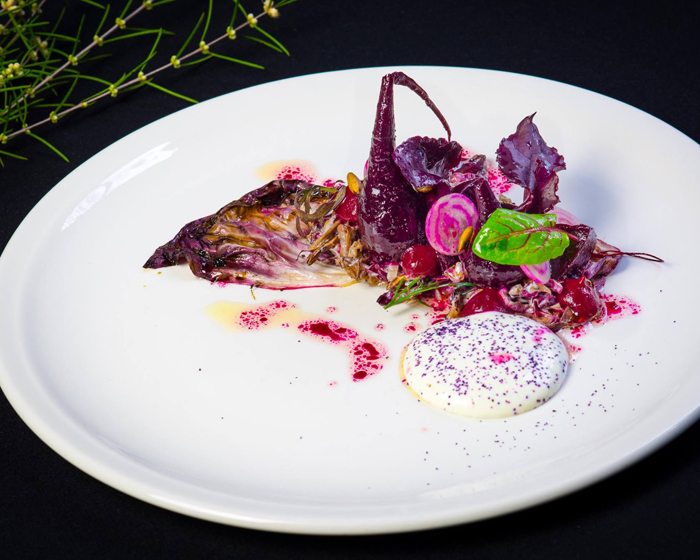 A delight to the senses, each dish is artfully fashioned with colour and flavours radiating from the plate, such as this purple phenomenon of beetroot cured king fish, potato crumbs and horseradish cream. So next time you are plum crazy about what to cook for dinner… think purple!